Very often, after getting PR people plan a visa validation trip. The sole intention of this trip is to complete the formality of visiting Australia before the initial entry date and keep the PR visa active for the next 5 years. Often such trips are short, ranging from one week to a month. 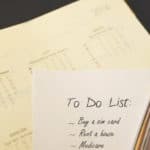 Despite such a short duration, many people want to complete a lot of activities on their checklist. I know it’s very tempting to finish off as many tasks as possible. But you should wait till you move to Australia permanently before you complete some of these tasks. Let’s look at the 5 activities which you MUST NOT do on your visa validation trip to Australia. Medicare is publicly funded health care system run by Australian Government which provides free health care services to Australian citizens and permanent residents. As it is free and there is no compulsion to buy private insurance to cover yourself against health issues while in Australia, it makes sense to enrol for it as quickly as possible, except for one problem – Lifetime Health Cover Loading. Lifetime Health Cover(LHC) Loading is a surcharge that you pay on top of your private health insurance premium, if you buy one later. Usually, when an Australian person buys private health insurance over the age of 30, she has to pay LHC of 2% on top of premium. It is designed to encourage people to buy private health insurance early. However, as a migrant, you may enter Australia over 30 years of age. Hence, Australian government gives you an exemption of one year from the date you enrol for the Medicare. In other words, if you enrol for Medicare on 1st January 2018 and if you buy private insurance before 1st January 2018, you don’t have to pay extra 2% LHC loading on your insurance premiums. However, if you enrol for Medicare on a validation trip, you might eat up the 1-year exemption before you move to Australia permanently. As a result, you will end up paying more for the private insurance. This is the primary reason why you should not rush to enrol for Medicare during your validation trip. Tax File Number(TFN) is an identification number given to an individual used for taxation purposes. It is similar to PAN number in India or TIN in the US. You need to provide TFN to your employer for the tax deduction. You should also link it to the bank account so that you don’t pay withholding tax. However, it might be a good idea to wait for TFN registration until you move permanently. First of all, you can register for TFN online and takes less than 15 minutes. Secondly, ATO sends TFN by post to your mailing address in 28 days. 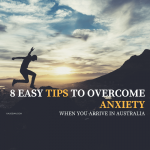 Since you won’t have a permanent mailing address when you are on a validation trip to Australia, you will have to provide an address of friend or relative. Given the highly confidential nature of this information, I am not comfortable with the idea of having it mailed to someone else. I would rather wait till I move to Australia permanently and have the TFN mailed to me directly. Plus, you don’t lose anything by not having TFN when you are not an Australian resident. Centrelink is a social security service which provides a range of benefits and payments to Australian people based on certain criteria. It provides financial aid such as Family tax benefit for low-income families and also helps to ease childcare costs if your kid attends approved day care centre. However, there is absolutely no need to register for Centrelink on a validation trip. First of all, you won’t get any benefit since you are on a short trip. Instead, you could better use that time to get more insights about life in Australia. Another reason why people rush to enrol for Centrelink is the waiting period. Some of the Centrelink benefits such as Newstart allowance have a waiting period. People, incorrectly assume that by registering for Centrelink while on validation trip will help them finish a part of this waiting period. So, by the time they move to Australia permanently, they don’t have to wait for the benefits to start. Unfortunately, that’s far from the truth. Centrelink only takes into consideration the time you spent in Australia after becoming an Australian resident. So it doesn’t make any sense to register for Centrelink while on a validation trip. 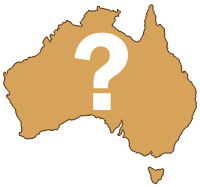 Getting the driver’s license should be your top priority when moving to Australia, but not when you are on a validation trip. First of all, getting driving license itself is a very long process, irrespective of whether you have the overseas license or not. Secondly, the driving license is mailed to your postal address just like TFN. A driving license is a very important and highly personal document. It is universally accepted proof of identity in Australia. As such, you don’t want to increase the chances of identity theft by letting your license fall into the wrong hands. Plus, usually, the test centres are booked for months in advance. More importantly, why would you rush to get the driving license when you can legally drive with your overseas license for the first few months? 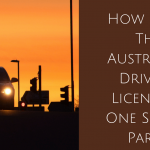 Hence, it is better to get a driving license when you move to Australia permanently. No doubt, getting a job is the primary goal of any new migrant in Australia. In fact, people often have dual intentions on a validation trip. 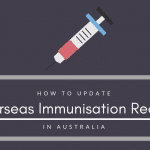 One – to validate PR visa and two – to test the waters of the Australian job market. Given the highly competitive job market, it’s quite tempting to apply for jobs when you are actually in Australia. However, this can do more harm than good. First of all, let’s assume everything goes well and you do get a job offer. Are you in a position to accept it? No! because that was not part of the plan. For example, you might have taken a long leave from your overseas job to do the validation trip. In such case, you will have to travel back to resign from your previous job and most likely, finish off the notice period. Also, you will have to take care of all the unfinished business back home. Secondly, you won’t put your heart and mind to get the job when you are on a validation trip. It’s just one of the thing that you want to give a try. A job search demands a lot of dedication and focus, which is not possible during the validation trip. 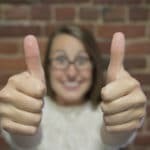 Finally, assuming you apply for a job and get a call from a recruiter, how will it look when she knows that you are on a validation trip? It’s going to create a bad impression of you in her mind. 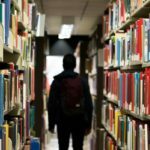 It might even hurt your chances of getting a job in future. It’s a good to get in touch with your local friends, relatives and even a few recruiters to understand the dynamics of Australian job market. However, you should keep the actual job hunt for later when you are fully prepared and focused. To end it on a bit of philosophical note, everything has its own time. You need to be patient and wait for the right time to do things. It is very important to prioritise the tasks so that you don’t waste time on unnecessary things. 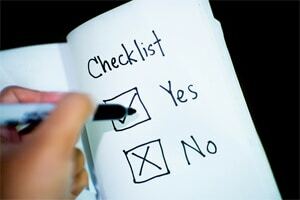 If possible, make a checklist of things that you need to do. If you need guidance, feel free to use my checklist on moving to Australia. 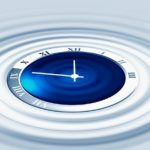 When Is The Best Time To Move To Australia? Had a question. We are planning a 2 day visit to get our PR activated. It’s a really short trip and we are trying to make it as low cost as possible. Is there any particular city you would suggest we land so that we don’t have to spend as much for the 2 day stay. We are flying from Muscat so landing in Perth costs the least but it’s not a big difference. Do you have any other suggestions? Though largely advertised as “Australian for beer” overseas, Foster’s is not a popular brand in Australia. Also, though it is branded as Australian, the beer is produced in Great Britain.